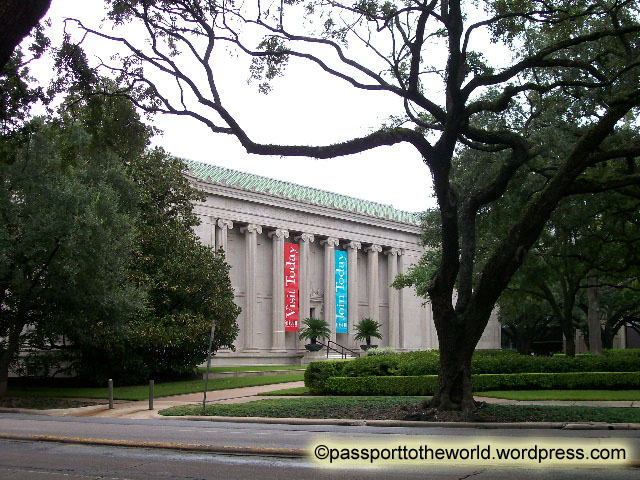 The Museum of Fine Arts Houston (MFAH) is a very large art museum with tons of interesting exhibits. To me, it was more like an anthropological/ cultural museum because it had so many exhibits of art from different cultures. Of course it also has classical paintings and modern art. I found the art to be very interesting and enjoyed learning about different cultures and time periods through art. My favorite exhibits were the ones highlighting works of art from various cultures- Asian, Korean, Indonesian, Indian, Japanese, Chinese, African, South American, Oceanic, ancient Europe, etc. It is like you traveled the world through art once you have finished seeing this museum. There is a good representation of many cultures in one place, and it lends to making cross-cultural connections. I was amazed at all the gold art pieces that the museum had on display. The collection on Indonesian gold, Indian gold, African gold, and South American gold was amazing. It could very well have been called the Gold Museum. It was interesting to see how each culture used gold and decorated it. Many of these gold objects were highly detailed and richly decorated, very ornate. Although these cultures were worlds apart, and time periods apart, ( I mean, the cultures developed separately and probably had little to no contact with each other.) one can see that the universal value placed on gold is high. I enjoyed seeing the battle armor, sculptures, vases and urns and bronzes of ancient Europe and the Near East. Aside from the very comprehensive permanent collections I like how the MFAH has a variety of changing exhibitions. Some that I saw were the arts of Ancient Vietnam (lots of influence from Hinduism and Buddhism as well as Chinese), art relating to the moon, and a contemporary Korean art and photography exhibit. There’s always something new to see at the MFAH and these changing exhibitions are included in the price of a ticket and are also included on free days. I like how the museum is free the first Sunday of the month and also all day Thursdays. And there are 2 free parking lots across the street from the museum, which make it a very accessible and convenient attraction to visit. A highly recommended place to visit in Houston! While there you can also check out the Cullen Sculpture Garden, which is right next to the MFAH. It is also a part of the MFAH and is free and open to the public. It is a nice area to walk around, very peaceful and relaxing. Check out my Houston Museum Guide for reviews of more museums. 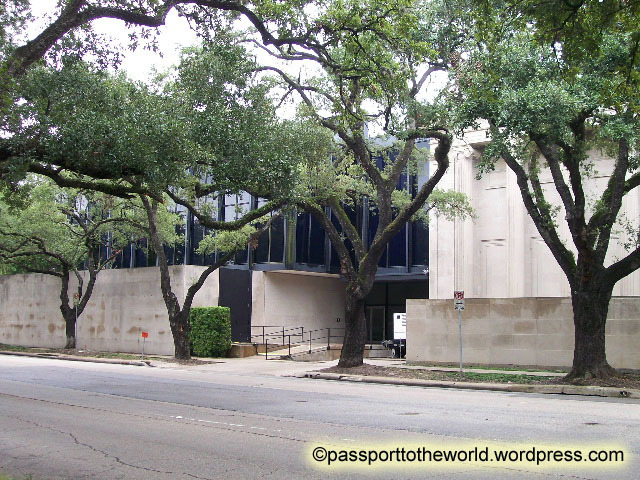 This entry was posted in USA and tagged art, 相片, 美國, 藝術, Houston, museum, photography, Texas, travel, USA, 博物館, 德州, 旅遊, 休士頓. Bookmark the permalink.